Everything was going exceptionally well. The Eagles were leading 31-7, Alex Henery had converted a 36-yard field goal earlier and was putting kickoffs deep in the end zone. With less than nine minutes remaining, the embattled kicker missed a 31-yard chip shot wide right, and just like that, a really fun game became slightly less fun. I immediately hoped there was some kind of bad snap or hold that contributed to the miss but did not notice anything of the sort right away. The Eagles have a problem at kicker with no clear solution. I already wrote in-depth about Henery last week, so I don’t know how much I can really add. Henery is now 1-for-3 in the preseason including a really ugly 47-yard miss and the aforementioned mistake tonight. Had he simply made the kick, the job would have been his in my opinion. But Henery missed and gave everyone more to think about. I admittedly was not thinking of Cody Parkey the other day, so the Eagles could do something to surprise everyone but scrolling the free agents available, it is slim pickings, understandably so. This list is from April, but it is the best I can find and mostly holds true. 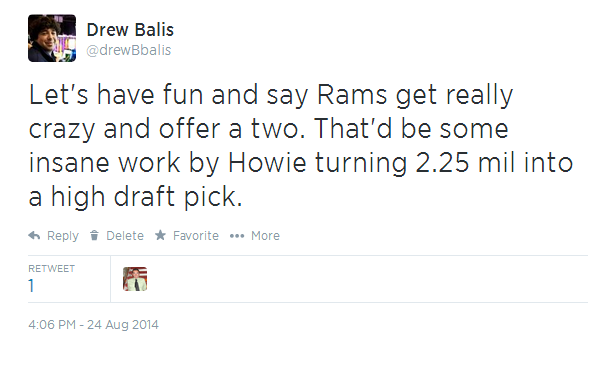 Rob Bironas might be an option. 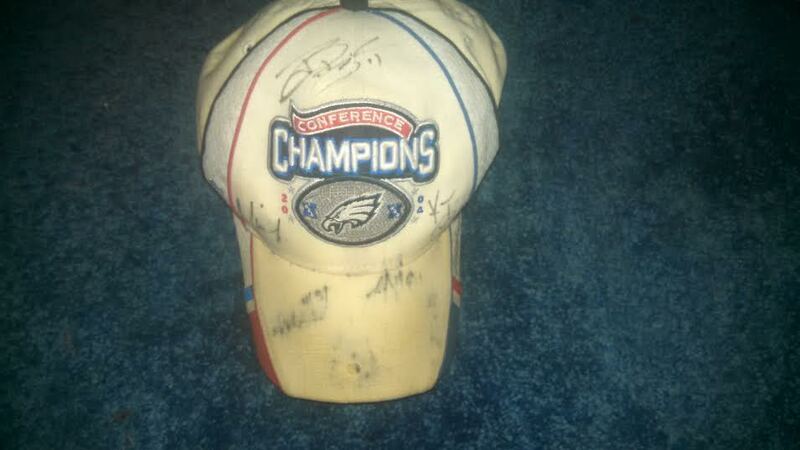 Spare me calling for David Akers. I love him, but if he was any good, he would already be kicking for a team right now. Bironas was 25-29 last season. Henery was 23-28. In nine years kicking for Tennessee, Bironas has a career 85.7 percent while Henery has an 86 percent conversion rate over three seasons. 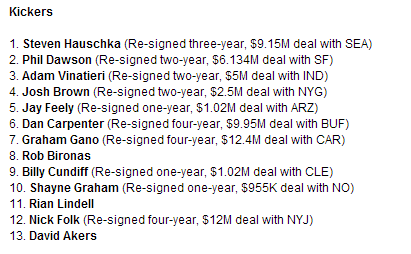 This is not all about Rob Bironas, but I am attempting to show that there is no clear upgrade here. Chip Kelly and Howie Roseman are smart, and Kelly didn’t exactly give the incumbent a ringing endorsement tonight. If someone clearly better was available right now, he would already be inside the Novacare Complex. 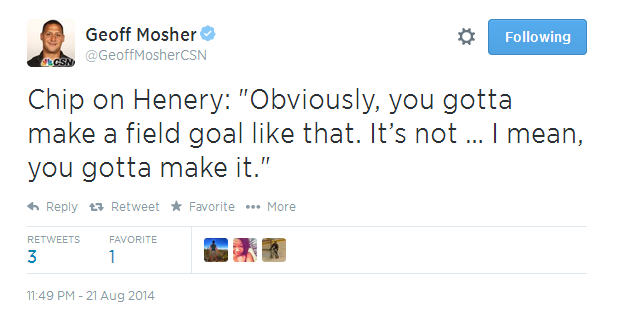 My take: Alex Henery is not very good at his job right now, but I would still go into Week 1 with him as your kicker. If you need a clutch field goal to beat the Jaguars, the team has bigger problems than we currently realize. The Monday Night game against the Colts could very well be played indoors if the retractable roof at Lucas Oil Stadium is closed, creating favorable kicking conditions. This gives both the Eagles and Henery time to prevent making a decision they may ultimately regret. As little confidence as people have in him right now, I am hesitant to cut a guy who began his career 51-for-58. Even then, Henery had his flaws, but not so long ago, he was a good kicker, and it is certainly not out of the realm of possibility for him to be a good one again — be it here or elsewhere. You may not love the plan, but I believe it is the best course of action right now. When push comes to shove, I think the Eagles will come to that conclusion too, but Henery certainly isn’t making it easy for them. This entry was posted in Uncategorized and tagged Alex Henery, Chip Kelly, Cody Parkey, David Akers, Howie Roseman, Indianapolis Colts, Jacksonville Jaguars, Monday Night Football, Novacare Complex, Philadelphia Eagles, Pittsburgh Steelers, Rob Bironas, Tennessee Titans on August 22, 2014 by drewbalis.